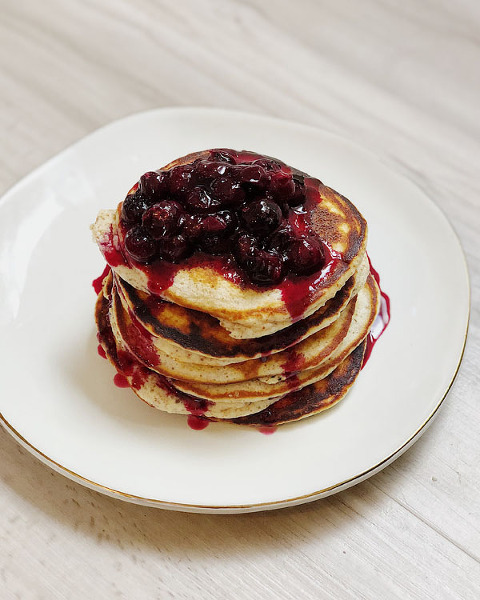 If you’re a breakfast lover like my self and are eating a low carb diet, we have the most amazing pancake recipe for you! 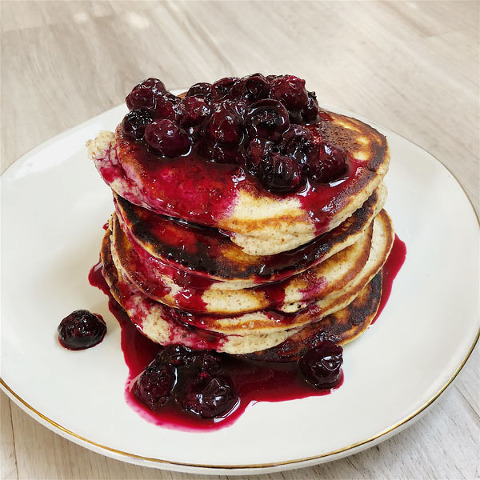 I used to make lemon ricotta pancakes all the time before I was diagnosed with Type 1 Diabetes, but since my diagnosis, I haven’t had them because the blood sugar spikes, stomach pain, and all the other side effects weren’t worth it. We discovered the most amazing low carb pancake mix, and let me tell you, with kids, the convenience of a mix that’s ready to go is worth every penny! Hint: If you get on KNOW Foods email list, they have BOGO sales on different products every week! I hit up Black Friday and Cyber Monday so hard that I still have TONS of product left. A bag of pancake mix will last us 2-4 breakfasts depending on how many pancakes I’m making. That’s anywhere from $2.50-$5 per meal (not per person, PER MEAL)…and half that price if you get the mix on sale like I did. Far cheaper than going out and having someone make me these delightful slices of heaven. But who am I kidding? I can’t go to a restaurant and get fluffy low carb panckaes anywhere in San Diego. I’ll do the extra work of making them myself for tight blood sugar control. (check out Zola’s Dexcom photo below after eating the pancakes – I’m not on a Dex at the moment or I’d share mine too). These are probably the best pancakes I’ve ever made and NO SPIKES IN BLOOD SUGAR for Zola or myself. The pancake mix is sweetened using allulose, which is not recognized by the body as a carb, so it has no effect on blood sugar. 1. In a medium bowl, mix together KNOW Foods Pancake Mix, milk, ricotta cheese, lemon juice, and erythritol. 2. Melt butter or use coconut oil spray to grease a pan on medium high heat. 3. Using a 1/3 cup measuring up, spoon batter into a pan. Cook till golden brown, flip and cook till finished. 1. Place blueberries, lemon juice, water, and erythritol in a medium saucepan. Heat on medium and cook for 2-3 minutes till the sugar dissolves and the berries soften. Spoon over the top of pancakes.